Desportivo Aves and Feirense face at Estádio Clube Desportivo das Aves, in a match for the 17th round of the Primeira Liga. At this stadium, the head‑to‑head history favours the home team, since they have a record of 3 wins in the last 3 matches. Sure enough, the last time these teams met at this stadium, on 14‑04‑2018, in a match for the Primeira Liga, Desportivo Aves won by (1‑0). The only goal of the match was scored by Baldé (6' ). 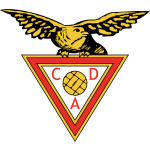 The home advantage may play an important role in this match , since Desportivo Aves presents significant differences between home and away results. After 3 wins, 2 draws and 11 losses, the home team is in the 17th position, havinf won 11 points so far. In the last match, they have lost in an away match against Moreirense by (1‑0), after in the previous match they have lost (0‑1) at home, against Porto. This is a team that is often stronger at home, with the help of its supporters, so they usually make good use of the home advantage, since in the last 30 matches they register 3 wins, 2 draws and 10 losses in away matches; against 4 wins, 5 draws and 6 losses at their stadium. In the last 8 home league matches Desportivo Aves has a record of 2 wins, 2 draws and 4 losses, so they have won 8 points out of 24 possible. The most recurrent result at half‑time in their home league matches was the 1‑1 (3 out of 8 matches). They haven't been very strong defensively, since they have suffered goals in all of the last 10 matches, but their offense has scored frequently, since they have scored goals in 7 of the last 10 matches for this competition. They have conceded the first goal in 10 of their 16 matches for this competition, and have never been able to turn the score around. there is 1 period that stands out in the last 13 home matches for all competitions: they have suffered 5 of their 14 goals between minutes (16'‑30'). Aves heads to this game unmotivated after having recorded a 1-0 defeat at the Moreirense field, thus registering the sixth straight match without winning in the Portuguese championship. The home team win only 2 of the 8 games it played at home. In this home game, coach José Mota should play in the usual 4-2-3-1 privileging the defensive organization and the direct balls for the attack. We emphasize that the hosts have presented some fragilities in the defensive organization and defensive set pieces. At the individual level we highlight Mama Baldé with 3 goals and 1 assist. For this game the coach can not count on Amilton and Diego Galo, both with physical problems. Confirmed Lineup: Q. Beunardeau, Rodrigo Alves, Ponck, Baldé, Jorge Fellipe, Vitor, Vitor Gomes, Claudio Falcão, L. Fariña, Derley, Hamdou Elhouni. The away team is currently in the 16th position of the league, with 12 points won, after 2 wins, 6 draws and 8 losses. In the penultimate match, they tied in an away match against Chaves, by (0‑0). In the last match, they tied in a home match against Santa Clara, by (2‑2). This is a team that usually maintains its competitive level in home and away matches, since in the last 30 matches they register 4 wins, 3 draws and 8 losses in away matches, with 11 goals scored and 20 conceded; against 4 wins, 6 draws and 5 losses at their stadium, with 16 goals scored and 19 conceded. 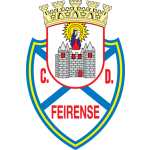 In the last 8 away league matches Feirense has a record of 1 win, 1 draw and 6 losses, so they have won 4 points out of 24 possible. In this competition, they haven’t won any of the last 14 matches. In their away league matches the most frequent result at half‑time was the 0‑0 (5 out of 8 matches). Defensive consistency hasn’t been their best feature, as they have conceded goals in 8 of the last 10 matches for this competition. In their away matches there is a tendency for few goals, since 5 of the last 8 matches for this competition have ended with Under 2,5 goals. This is a team that has had a hard time trying to score first. They have opened up the score in only 3 of the last 16 matches for the Primeira Liga, they have reached half‑time in front in 1 of those 3 matches and have held on to the lead in 2. In 16 matches for this competition, they have conceded the first goal 10 times and have never been able to turn the score around. Feirense heads to this match with a 2-2 home draw against Santa Clara, registering in this way the fourteenth straight game without winning in this competition: the team's goals were signed by Edinho and Valencia. It is worth noting that the away team conquered only 4 points in 8 games it played away from home. In this game, coach Nuno Manta Santos is expected to use the usual tactical formation, namely the 4-3-3, benefiting the maintenance of ball possession and organized attacks: Rafael Crivellaro is responsible for creating and organizing the offensive process. On the other hand, it is important to emphasize that striker Edinho is the great highlight of this Feirense with 4 goals signed. For this game the coach does not count on the suspended Tiago Silva. Confirmed Lineup: Caio Secco, A. Briseño , Tiago Gomes, Philipe Sampaio, Diga, Babanco, Crivellaro, Cris, Sturgeon, José Valencia, Edinho. This game has some tendency to be balanced, since Aves plays at home and Feirense has good players able to unbalance in this challenge. In addition, the two teams have every reason to act cautiously, and hopefully they will create few goals chances. Taking into account these factors, we believe that risking in favor of the "Under 2.5 Goals" market is of enormous value.